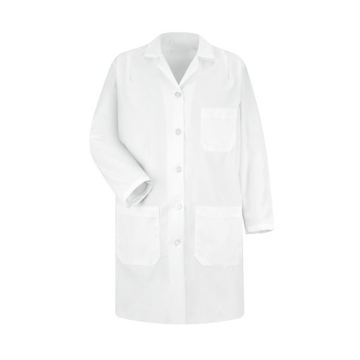 This lab coat features an inside pocket, deep front pockets, hand access slits, pleated back, and sewn down back belt. This women's style complements the men's style #1168. Center back length: 35". One-piece, lined collar with notched lapel. Non-yellowing UV buttons for long-lasting whiteness through industrial laundry processing. Five-button closure. Darts at shoulder for shaping. Left chest and two lower pockets. Princess seams on back. Decorative adjustable belted back. No side vents. Center back length: 37". 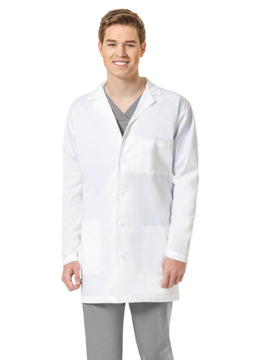 A men's lab coat with a four-button closure, three front pockets, two inside pockets, and side hand access points. 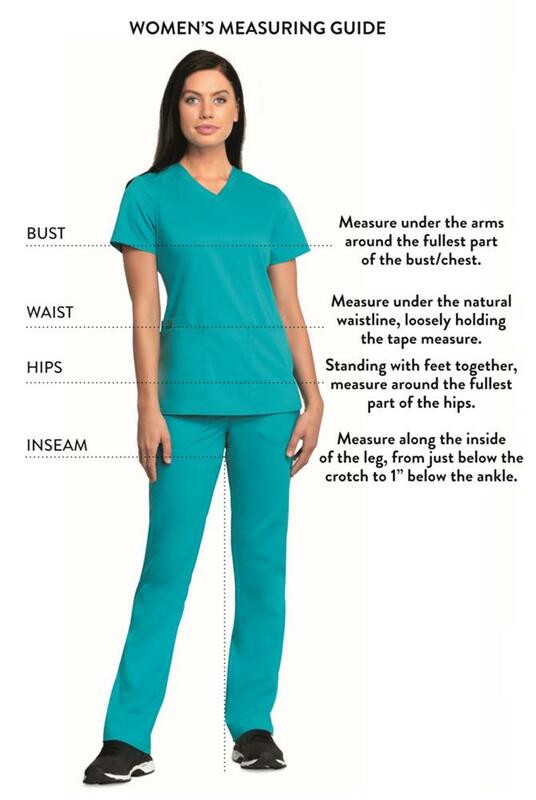 Also includes a sewn-down back belt over pleats. Center back length: 37". Tall center back length: 39". Men's fit. Chest pocket with pen slot, 2 lower pockets, including 1 pen pocket, 1 cell pocket, and 1 inside tablet pocket. Back yoke with pleats, inset waistband, back vent. Center back length: 35½".